If you want to deliver a message to the masses, you have to go BIG – in this case, literally. 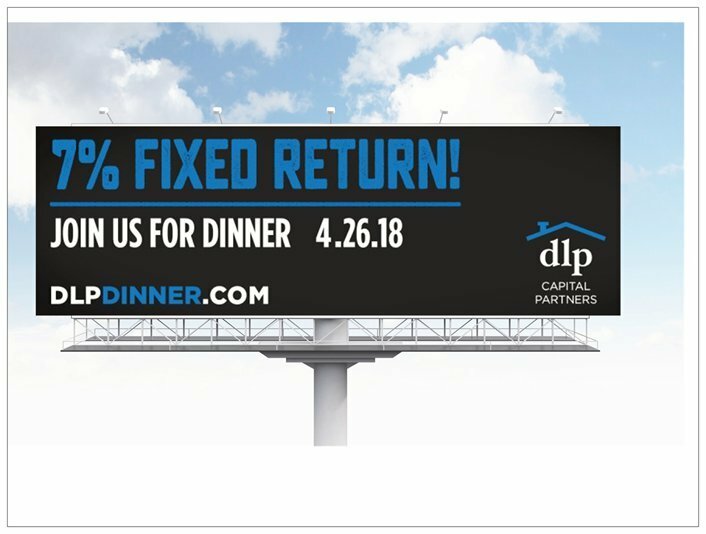 On March 30th, DLP Interactive Media launched a digital billboard campaign across the Lehigh Valley to raise awareness for DLP Capital Partners’ unique fixed rate investment opportunities. Coordinated with radio and online ads, DLP Interactive Media has strategically placed these billboards along highly traveled business roads including Routes 22, 78, 378, and 145. Only a few days into the campaign, they are already generating inquiries from excited investors. Now that you’ve snagged a peek at the billboard, we’re sure you won’t miss it the next time you’re traveling through any of those routes.